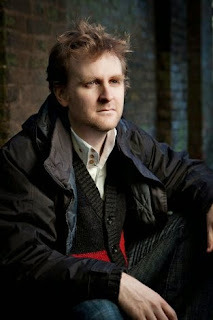 Nick Harkaway was born in Cornwall, UK in 1972. He is possessed of two explosively exciting eyebrows, which exert an almost hypnotic attraction over small children, dogs, and - thankfully - one ludicrously attractive human rights lawyer, to whom he is married. He does not like: bivalves. You just can't trust them. 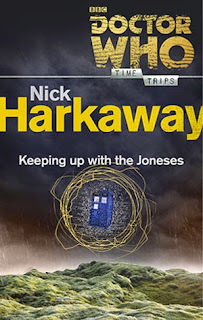 For the next installment in the Doctor Who: Time Trips reviews, I chose Nick Harkaway’s, Keeping Up With The Joneses. For this Time Trip short story, we accompany my personal favorite, the tenth doctor on an exciting romp through the TARDIS (the doctor’s trusty time machine and space ship that is bigger on the inside). After hitting a temporal mine (a time machine trap) that shouldn’t exist anymore, the TARDIS gets damaged and systems start going haywire all over the place. Time starts moving differently in different parts of the ship and a Welsh village appears inside the TARDIS. Inside this village the doctor finds a very familiar looking woman and no shortage of danger and intrigue. The Doctor and his new companion must navigate dangers in both the mysterious village and the TARDIS to figure out how to fix the damage before the TARDIS is destroyed, taking a big chunk of the universe with it. Out of all of the Doctor Who stories I have read, this one is easily my favorite. From the first page to the last it is chocked full of the whimsy, intrigue, mystery and fun that I have come to expect and love from Doctor Who. Maybe that is partly due to the inclusion of my favorite doctor, but the way he was written was absolutely flawless. The decision to include the banter the Doctor has with himself in his mind was perfect, and the execution was right on. From his hilarious paranoia to his childlike wonder and excitement, the Doctor’s personality and character could not have been written better. The story itself was very well-written and captivating, with its fair share of wibbly revelations and danger. The characters were all fleshed out perfectly, and the ending was brilliant. If any of the Doctor Who written material that I have read should be turned into an episode, I would choose for this one to be it. 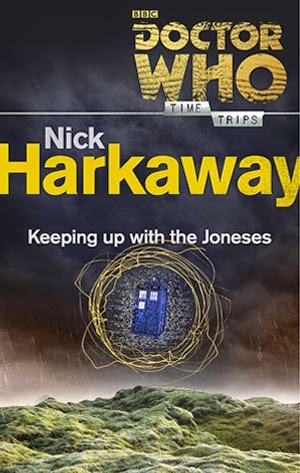 For any fans of Doctor Who, Science fiction, comedy or light reading in general, I would absolutely recommend picking up a copy to enjoy.